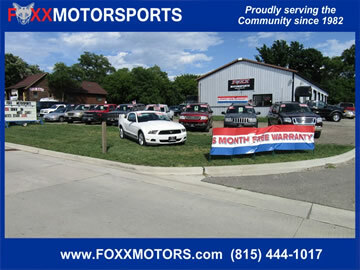 Foxx Motor Sports of Crystal Lake, IL has clean and reliable used cars trucks, and SUVs for every budget. Quality hand picked cars. Loans, warranties and friendly customer service you can count on. Serving the Crystal Lake Community Since 1982. The No-Hassle Way to Purchase Your Next Vehicle. 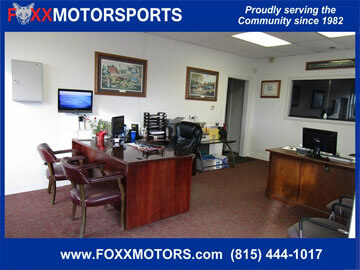 ​​Whether you are buying your next primary mode of transportation or just need an extra one, Foxx Motor Sports will save you time and money while making your purchase easy and enjoyable. Every vehicle is marked down to a clearly visible, simple and convenient one pricing structure. If you can find a better vehicle, for a better price elsewhere, buy it. However, we are confident you won't find a better price and most importantly any better friendly customer service. • Honest and objective answers to your questions. • Lowest possible finance packages available to you. • Zero Pressure Sales Assistance. • Fair trade-in appraisal on your current vehicle. 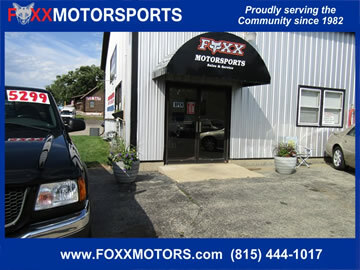 Please keep in mind we specialize in older, high mile, clean and affordable vehicles. They are not going to be "perfect". We do our best to find any issues the vehicles may have and report that information to you truthfully. However, we aren't "perfect" either. Every one is welcome to have an independent mechanic check out one of our products.